Jill Culver always knew she was a painter, but it wasn’t until getting laid off at the end of a long corporate career that she began to pursue her dream. Except for a few lessons in her youth, Culver had never received formal training. So she was surprised to discover that the skills she needed came naturally. She started experimenting with oil paints and after a prolific burst of activity, realized painting people was what she enjoyed most. After painting portraits of imaginary figures she noticed an emerging theme; the people were often in costume and carried with them a sense of “other-worldliness.” Culver wondered what would happen if she painted real people – would this ethereal quality carry through to their portraits? 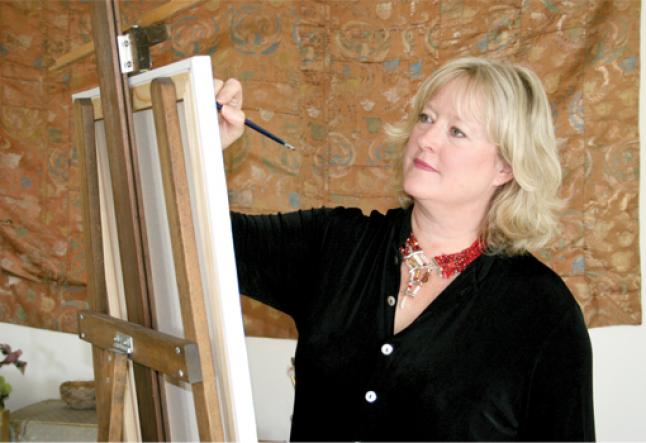 Culver believes spirituality – the “Spirit” as she calls it – strongly influences her work. 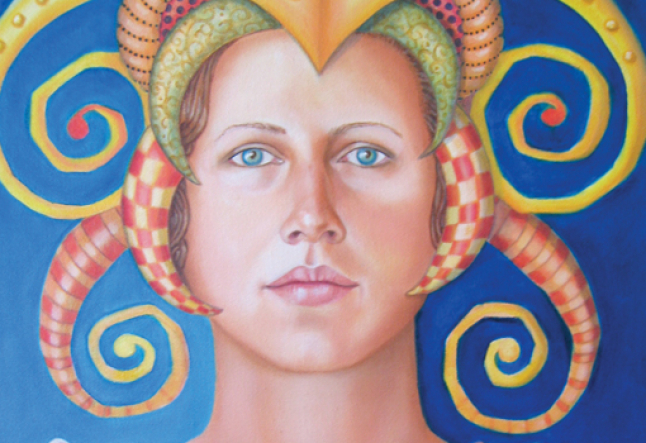 “I’d even go so far as to say spirituality is my work.” She applies the same process to each soul portrait she creates. First, she and the client meet in her Sausalito studio for three hours. They may chat during this time, but this is not an interview; she prefers to keep what they discuss on the surface. Rather, she is working to gather the “intuitive information” that will influence her painting. She determines what size the canvas will be, whether it will stand vertically or horizontally, and then begins to paint the client’s face. What position and size the client’s face take are all “intuitive hits.” Before the client leaves, Culver takes photographs of him or her to work from. To sit for your own soul portrait or to learn more about her process, contact Jill Culver at 415.332.0615, jill@jillculver.com or visit her website, jillculver.com.